So usually, if I’m going to have a doughnut I’m going to go and buy them, but this is one thing from my childhood that I remember making with my mom, so I had to keep the tradition. This recipe is actually really yummy, and super addictive I might add. I can’t keep these in my house cause I will keep snacking on them all day long until, oops, they are all gone 🙂 And I love how easy they are. Someday, I might go all out and make donuts from scratch, but for now, these are easy and yummy! Just a quick tip to help make your doughnuts just a little bit better. 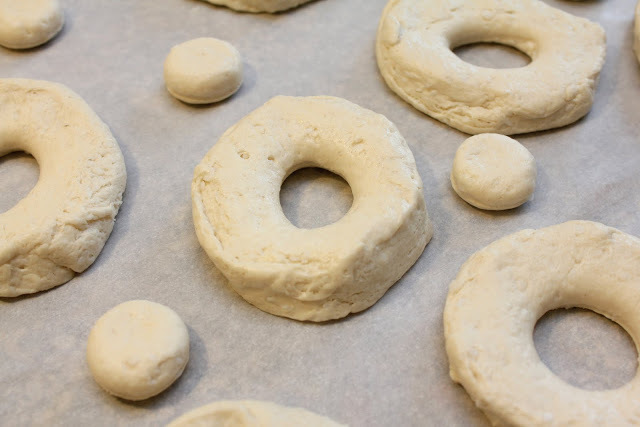 I find that if I use regular sugar for the cinnamon-sugar mixture, it is to grainy, but if you use bakers sugar the sugar is finer and the mixture coats the doughnut better. Plus the texture is tons better when you’re eating the doughnuts. Either way will work, but I just prefer the finer sugar. Enjoy!! Estimated Cooking Time: About 10 to 15 minutes. 1 package refrigerated biscuits, (above) This is what I use cause I like how they turn out. But any brand will do. In a medium bowl combined sugar and cinnamon. Set aside. Lay biscuits out flat, and with a cookie cuter, cut out the centers. Fill a medium saucepan with about an inch of vegetable oil. Heat to 350 degrees. Drop dough into oil. Let cook until bottom side turns a golden brown. Flip doughnut and brown opposite side, about 1 minute per side. 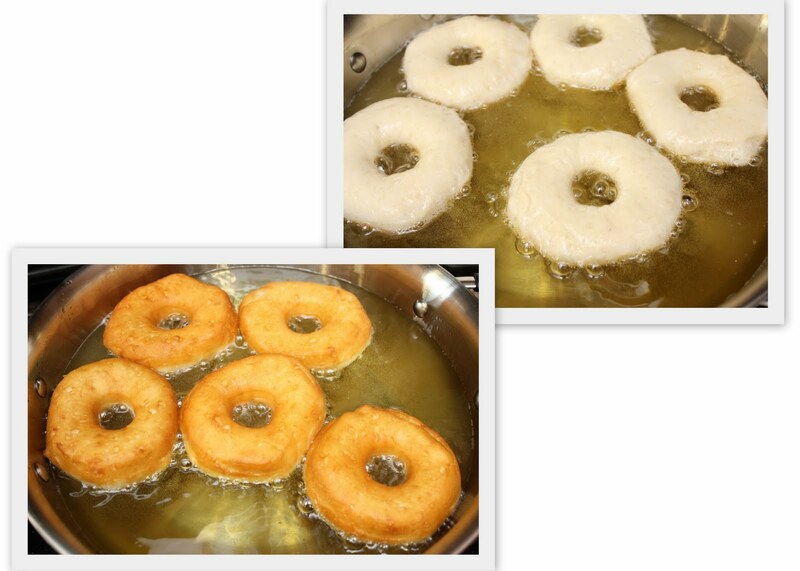 Remove doughnuts to a paper towel and let cool slightly. Doughnut holes cook a lot quicker, so keep your eye on them. It’s about 30 seconds per side.